Scooper - Technology News: There are 4 types of Facebook user. Which one are you? There are 4 types of Facebook user. Which one are you? Anyone who uses Facebook can safely assume that to the company we are all one type of one thing: bundles of sellable data . The massive social network is more than one thing to its customers, however. Some of us use it to keep tabs on distant friends, for instance, and others to promote their creative works, or “literally” too-cute toenails. Still others see Facebook as a passive medium, a television channel made up of shows starring everyone they know and some they don’t. The study authors, from the School of Communication at Brigham Young University, say these four categories emerged from a survey that asked subjects to respond to a list of 48 statements. These included phrases like, “Facebook is a source of stress, and it depresses me” and “Facebook is an instant way to ask for help or something I need from people.” Subjects ranked each statement on a scale from “most like me” to “least like me,” and were later interviewed by the researchers who gathered additional insights and qualitative data. Notably, only 47 subjects were involved in this study, but the authors argue that, because they employed Q methodology , an approach to investigating divergent perspectives on subjective topics using sorting, statistic, and factor analysis, the small sample size is sufficient to reveal solid patterns. As you read through the profiles of the key types below, however, you may see yourself reflected in more than one category. The authors acknowledge that we aren’t all easily pigeonholed, but say that we’re likely to find we’re mostly like one type. That is, at least among American young adults; the study only involved Americans aged 18 to 32, so global populations and older demographics may include other types. What’s more, your attitudes about Facebook and your online behavior might change over your life. Relationship builders also tend to be heavy posters and viewers of pictures and videos; they commonly comment on the images and updates others have shared, and engage in conversations. 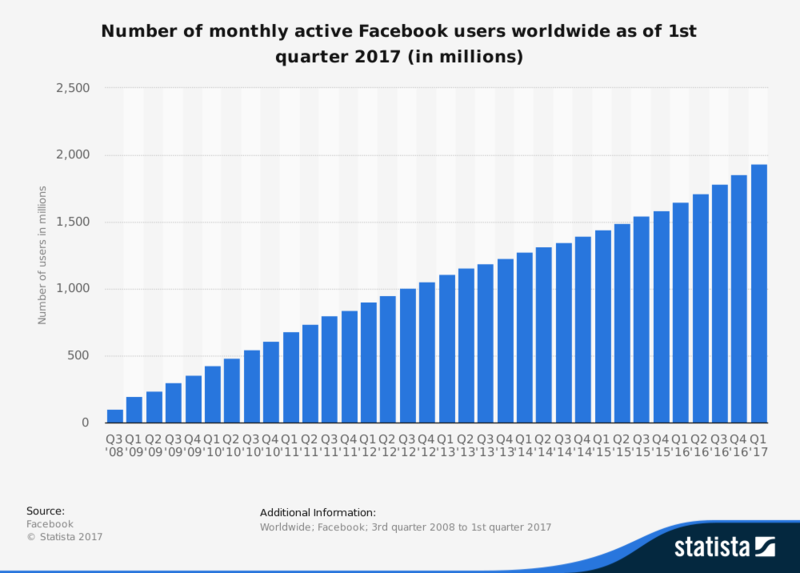 Driven by “a sense of social obligation” to be on Facebook, window shoppers see Facebook as an inescapable part of modern life, but they very rarely divulge personal information, share photos, or write updates. Nor do they do much liking or commenting. These are the self-styled or professional journalists, activists, and event organizers who see Facebook primarily as a soapbox. Unlike relationship builders, their virtual world does not resemble their real life. They might broadcast information they feel compelled to share to a wide range of close and distant connections, but they’re not looking for a follow-up—or not online anyway. “Sometimes they post things and they don’t even care if someone likes it or not,” Kris Boyle, a BYU professor of journalism who was also a co-author, tells Quartz. The members of this faction are often sounding alarms on big issues, and passing along the latest memes, and see Facebook as the easiest way to do that. One has to wonder whether, in a year of political upheaval in the US and elsewhere, their constant posting of online articles—for which Facebook, as a powerful distributor, takes home the biggest slice of the ad revenue pie—hasn’t most helped the tech giant while further weakening the newspaper industry. But if the newspapers can successfully fight back through a legal battle, as they hope to , the town criers will be the first to tell you about it— through Facebook. Just don’t ask them to share personal details. Although keenly focused on pushing out alerts (whether real or invented news) and inviting people to events (whether protests or church brunches), town criers tend to reveal little “private” information in their Facebook activity. Most town criers would rather pick up the phone, text, or direct message someone for an actual conversation. The final group, the selfies, is the one we’re all too familiar with—and that’s the way they like it. Their ways have spawned a thousand essays on the problem with social media , and contributed to the myth of the narcissistic Millennial . Although the selfies were found to be least concerned about the accuracy of the self they presented online, says Boyle, that tendency could exist in any category. “Even relationship builders could look like they have a loving relationship with someone on Facebook, and when they get together, it’s a different story,” he says. Among town criers, the computer may provide a protective barrier for those who don’t necessarily feel comfortable sharing their ideas or opinions in real life. One seductive quality of online interaction generally, Boyle notes, is that people are able to create a better—or different—versions of themselves. To share our darkest truths, we prefer the perceived anonymity of a Google search.